Samaritan has operated within budget since its opening. The ministry has worked to diversify its sources of revenue. We receive money from individuals, churches, community organizations, corporations, special event fundraisers and the government. • Served a total of 144,889 meals, including 92,405 lunches. • Food and preparation cost per meal is $2.58. • Provided 26,242 nights of shelter to 662 different homeless men. • One night of shelter, including breakfast and dinner, costs $25.95. For every dollar donated, 86 cents goes directly to guest services. Samaritan has a staff of 14 full-time and 8 part-time employees. 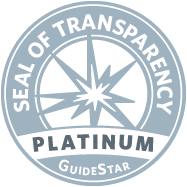 We are proud to be a platinum-level Guidestar participant, demonstrating our commitment to transparency. Click here to view our Guidestar profile.